Five years ago, I moved to NYC after producing my final show in DC. But for the last year and a half, I have been working with others in the community to create an artists coalition to promote awareness, visibility and inclusion for those who identify as Middle Eastern, North African and South Asian (MENASA). 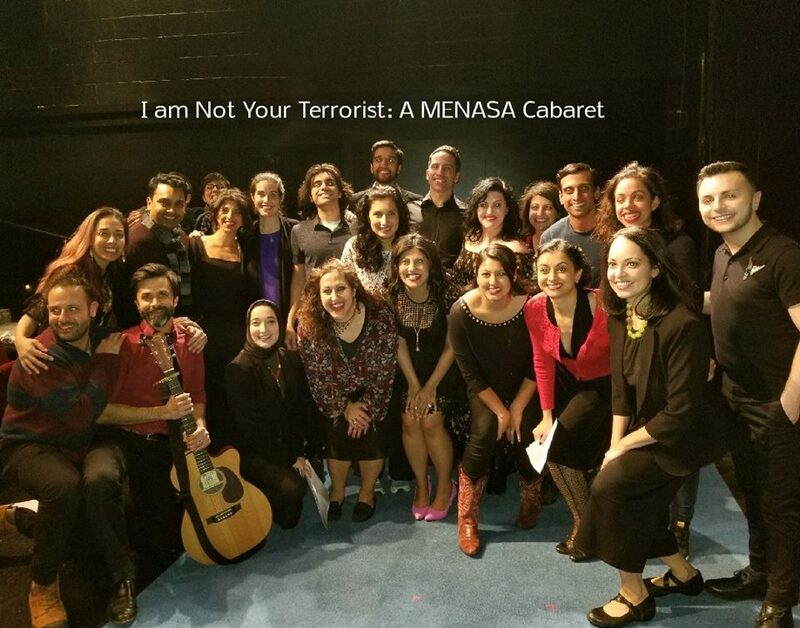 What has been ruminating for the past year culminated in our first MENASA Cabaret through the Actors' Equity Equal Employment Opportunity Commission to educate and celebrate the talents within the MENASA community on Monday, April 2. The night was incredible and filled with unique stories, monologues, songs and poetry from 20 artists. I even got to sing my dream role (Elphaba) in a fun and unique take on a Wicked Medley. It was my honor to co-produce the event with fellow AEA members, Nandita Shenoy (AEA EEOC member), Thomas Dolan and Jonathan Raviv. Many thanks to Actors' Equity for their sponsorship and the Atlantic Theater Company for their venue sponsorship!